Alliance Development Co., Ltd was established in Ningbo, Zhejiang in 1999 to export straw hats for Men, Women and Kids to England. In 2002, Alliance expanded product line and accessed the socks’ market. Since that time we started to trade hats, scarf, gloves and etc. Our export volume share has grown considerably. 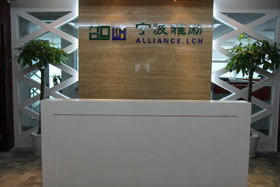 In 2008, Alliance has changed name to NINGBO ALLCH IMP. & EXP. CO., LTD. From that time, Allch exported over 15 million USD every years and for now still fast growing. Previously, clients of Allch were not only sourcing from fairs, but also from clients’ recommendations because of our high quality products and public praise. Allch also tried to start e-commerce and hope to cooperate with more quality buyers from all the world. Allch has cooperated with over 50 manufactures around Hangzhou Bay Area. We were not only purchased products, but also helped these manufactures to improve products and recommend new buyers’ trends. We also has invested one knitting glove manufacturer in 2010 and named it as NINGBO ALLANCE ACCESSORIES MANU-FACTORY CO., LTD. In 2014, we has invested in another socks manufacturer which is located in Zhuji, Zhejiang. After nearly 17 years hard working, Allch has grown up to be a large scale private enterprise. There are 7 executives, 5 R&D personnel, 6 excellent salesman, 4 merchandiser assistant, 1 vouching clerk, 1 declarant work in 1500 square meters office area and 68 staffs including 3 technicians 7 QC work in 2000 square meters plant area, with self-import and export rights. 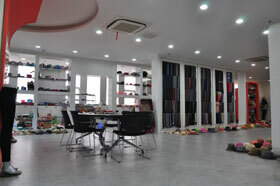 We pride ourselves in our commitment to our customers and selling quality hosiery and fashion accessories. We have our own design team and top quality control standards insuring. 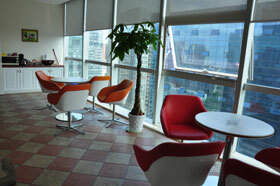 Allch always meet and exceed their customer’s needs and expectations. Allch is not only committed to offering top quality products, we are also committed to building a partnership with our customers. Our services are including in producing, purchasing, contracting and consulting, shipping, delivery and after sale service. Diversity cooperation and win-win situation are our goals.